A laboratory-grown diamond has the same properties as a mined diamond. The only difference is how they are formed; their origin, their "alter/native". 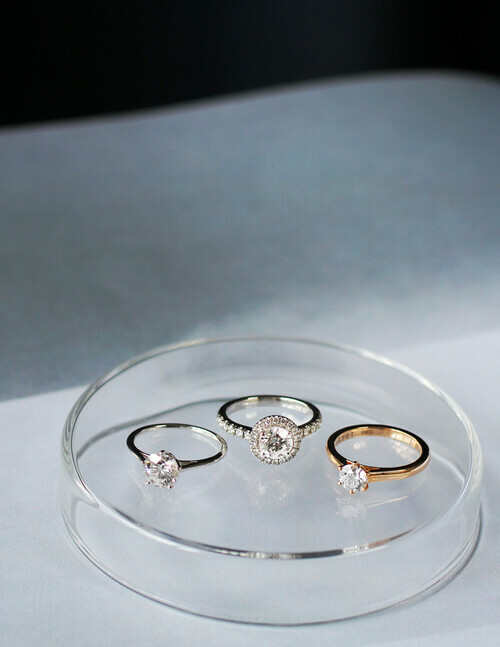 By using only lab-grown diamonds, Courbet is blazing a trail. One which we hope others will follow, too. From its apartment at 7, Place Vendôme, Courbet reveals a sparkling alternative to mined diamonds. 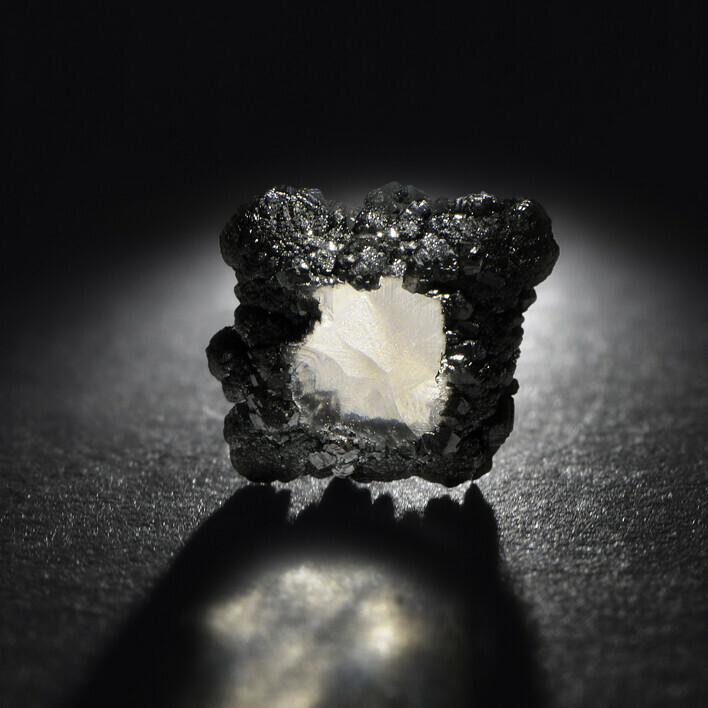 This lab-grown diamond is a diamond, with the same physical, chemical and optical properties as a mined diamond. The only difference is their point of origin - in the ground for a mined diamond, above the ground for a lab-grown diamond – and the impact they have on the environment and on the people working to produce them. Rather than forming in the depths of the Earth, a lab-grown diamond is created in the controlled environment of a Silicon Valley laboratory. The first attempts to grow a diamond go back to the 1950s, but it's only in recent years that scientists have succeeded in creating diamonds of sufficient whiteness and brilliance to be mounted in jewellery. The result of advances in science, the lab-grown diamond is the alternative we've been waiting for. Courbet exists because this alternative exists. Our vocation is to propose jewellery that is ethical and eco-friendly, modern and infinitely creative, and which respects craftsmanship and expertise. 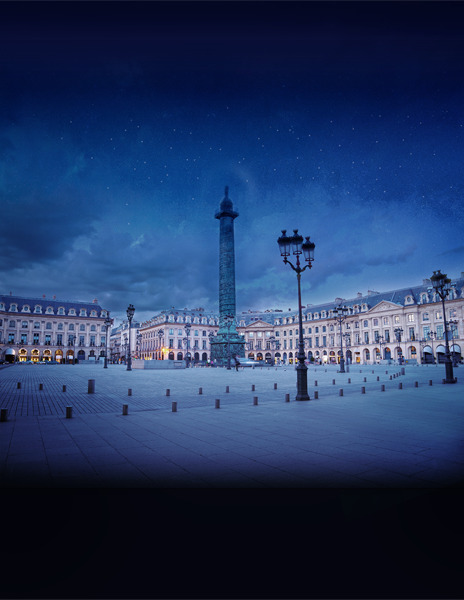 Courbet respects people and the planet, while carrying on the jewellery-making expertise of Place Vendôme. At Courbet, we believe lab-grown diamonds are instilled with a different kind of magic, made possible by human ingenuity. 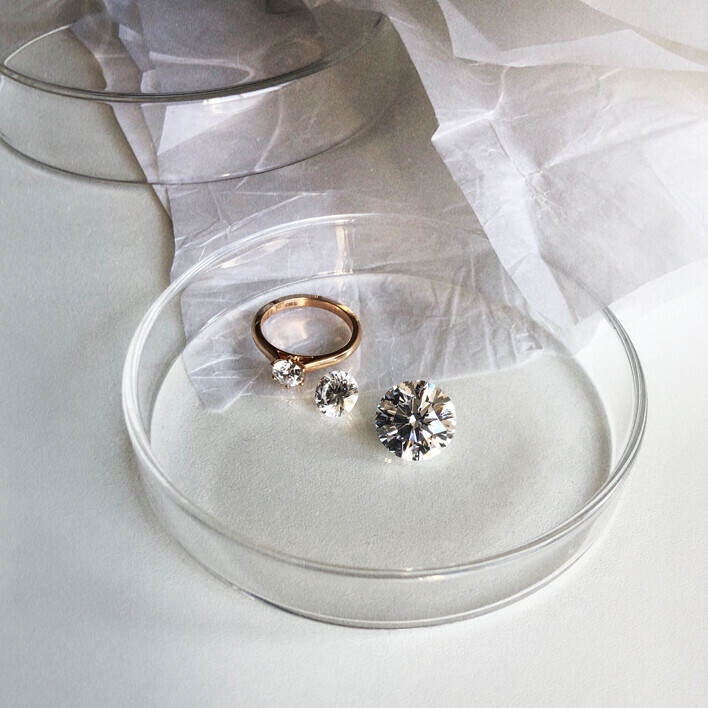 This new generation of lab-grown diamonds answers the ethical and environmental concerns of people who care about where their stones originate. It offers much greater transparency for all those who realise that the choices we make have an impact on our planet. So as to always propose the finest quality jewellery, Courbet selects only the best diamonds for its customers, graded F or higher for colour, and VS or higher for clarity. A laboratory-grown diamond is graded according to four criteria, exactly the same as a mined diamond. They are the 4Cs: Carat, Colour, Clarity and Cut. Courbet then adds a fifth C – for Conscience. By using lab-grown diamonds, Courbet supports a positive and innovative alternative to mined diamonds that is less polluting and more socially responsible. Every lab-grown diamond of more than 0.5 carat, mounted in Courbet jewellery, is certified by an independent official body. 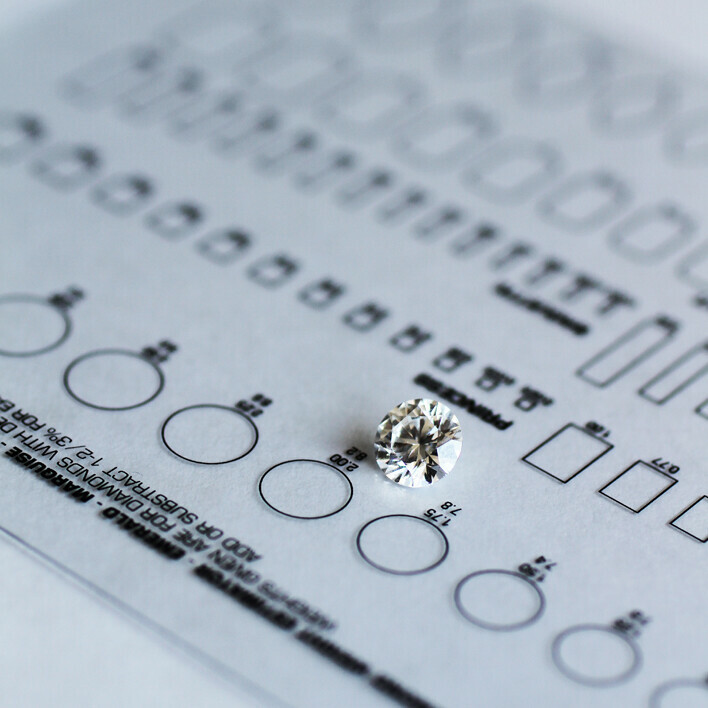 Courbet's laboratory-grown diamonds are certified by organisations such as the Gemological Institute of America (GIA), the International Gemological Institute (IGI) or the Diamond High Council (HRD) in Antwerp. These certificates attest to the quality of the mounted diamond: the 4Cs. 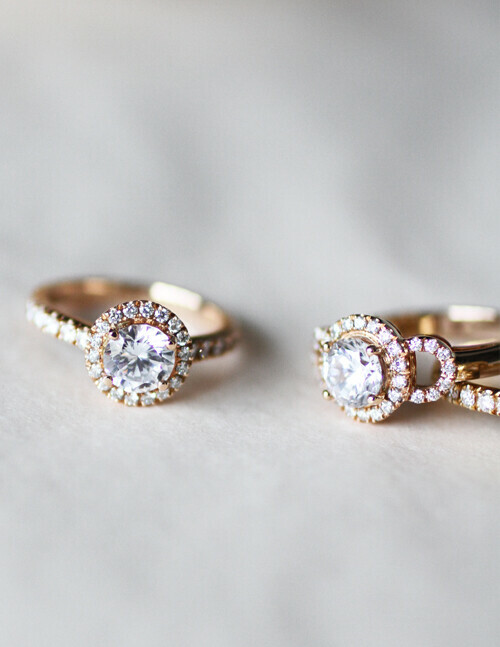 In addition, diamonds are scientifically classified as four types: 1A, 1B, 2A and 2B. Type 2A diamonds are considered the purest of all. Around 2% of mined diamonds fall into this category, compared with 100% of lab-grown diamonds. Through the magic of technology and the wonders of science, our diamonds are born from the same forces as deep within the Earth. Coast, in Russia and in Asia, using two technologies. The first technology is High Pressure/High Temperature (HPHT). 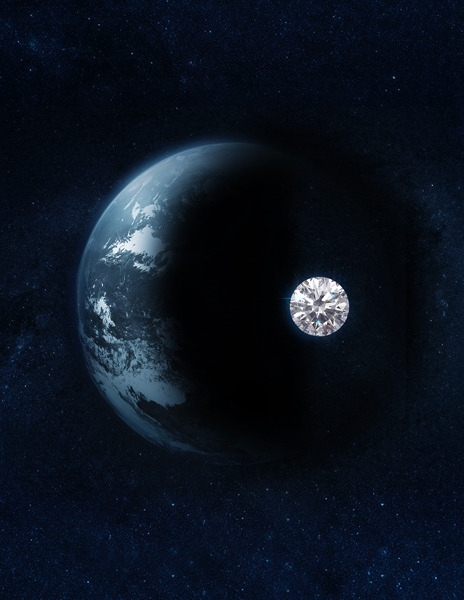 This method replicates the conditions in which diamonds formed deep within the Earth, billions of years ago. A microscopic diamond seed is put into a press, then subjected to extremely high pressure and a temperature in the region of 1,500°C (2,700°F). Carbon atoms attach to the seed, causing it to grow, very slowly, over a period of several weeks. 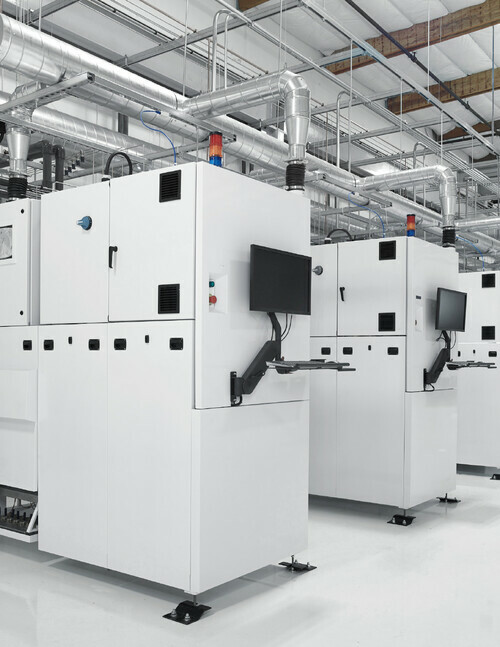 The second method is Chemical Vapor Deposition (CVD). It also replicates the conditions in which mined diamonds are formed. The diamonds are created in a low-pressure atmosphere using hydrogen plasma, which causes the carbon atoms to crystallise into diamond. It takes between three weeks and a month to obtain a rough diamond, which is then sent for cutting. Once the diamond has been cut, its colour, clarity and carat weight are revealed. The stones are now ready to be mounted in our jewellery studios, in France and Italy. 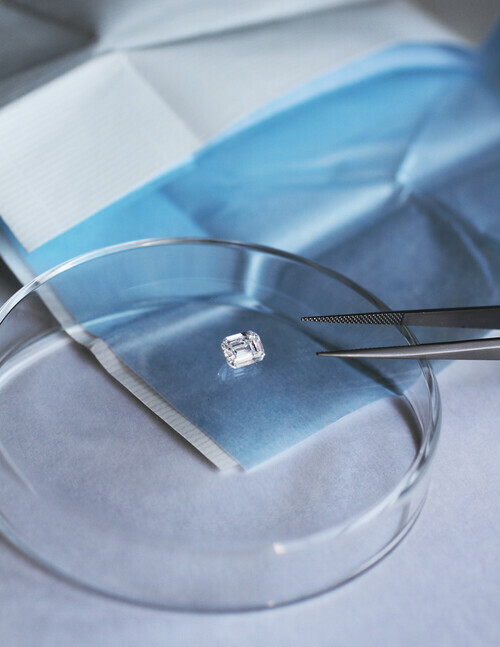 Thanks to this short and transparent supply chain, laboratory-grown diamonds are priced lower than their mined equivalent, costing 30% to 40% less. Lab-grown diamonds: what's in a name? In the United States, the more than favourable welcome given to this new stone has changed mentalities, and even legislation. In July 2018, the Federal Trade Commission issued a new guideline stating that a diamond is a diamond, irrespective of whether it was produced in a laboratory or in the ground. At Courbet, we support this changing mindset. It is our wish that lab-grown diamonds enjoy the same recognition as cultured pearls. A laboratory-grown diamond is a diamond. As simple as that. Discover our collections of bracelets, necklaces, rings , earrings or engagement rings. .
We hope that many will be involved with us.